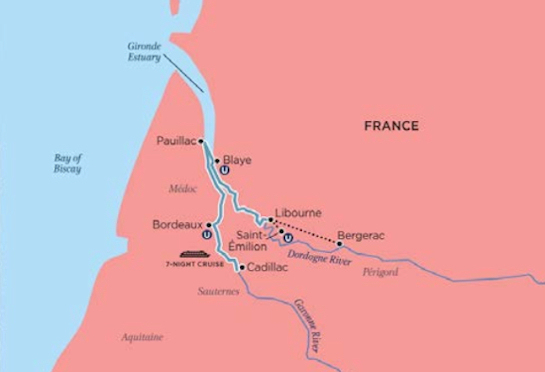 Join Jim and Tammy as we cruise Bordeaux’s three rivers ; the Garonne, the Dordogne and The Gironde-and savor the unique gastronomical heritage of southwest France. Signature Lecture: “Aquitaine, Three rivers, one ocean, and a unique Land"
Double Occupancy and subject to availability. Additional fee for category upgrades.